Other companies design websites, we create amazing online sales tools. Does Your Website Convert Browsers Into Buyers? There’s an old adage that says you should never judge a book by it’s cover. However we all know that’s something people do it unconsciously all the time – research consistently shows that you’ve just three seconds to impress your website visitors before they click away to your competitors. So what kind of ‘cover’ is your website presenting to the world? Our Gold Coast web design agency takes pride in building beautiful modern websites that not only easy to navigate, responsive, and easy to use, but also effective at converting sales – making your ‘book’ a bestseller every time. Wooing website visitors into becoming new customers is the hallmark of effective web design. 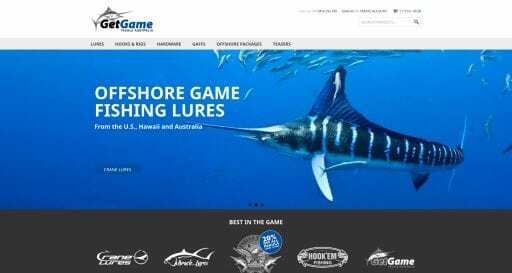 Our Gold Coast web design agency ensures every aspect of your website’s look and functionality is tailored to your customer’s unique needs to provide a seamless onsite experience. With the addition of helpful reporting and split testing abilities, you can continue to fine tune content and test & measure results over time to cultivate your website into a truly powerful sales and marketing tool. The explosion in popularity of personal mobile devices has forever changed peoples’ expectations about access to information. Customers expect to be able to find details on products anywhere, anytime, and on any device. Tropixel websites are responsive multi-device experiences that mould to the user’s behavior and environment based on screen size, platform and orientation. As the user switches from their laptop to iPad to mobile, our websites automatically accommodate changes in resolution, image size and scripting abilities – using technology to automatically respond to the user’s device. One of the most appealing aspects of Tropixel’s responsive web design is that you don’t need a separate mobile website site. A responsive website can provide a great user-experience across many devices and screen sizes. As an added bonus, search engines like Google prefer responsive web design because content that lives on one website and one URL is much easier for users to share, interact with, and link to than content that lives on a separate mobile site. In the era of content creation and SEO, most companies understand that websites need to be continuously updated with fresh and relevant news and stories to attract and engage website visitors. Tropixel websites have easy-to-use content management systems, making it simple for any member of your staff to update or change your website content – yes, even your least tech-proficient staffers. Update price lists, change photos, or add specials or news stories in seconds without a second thought to calling your IT guy. Now that’s refreshing. Your website is your online store front, so it needs to be open for business whenever people drop by – no exceptions. We work with the best network partners and suppliers to ensure Tropixel websites enjoy excellence in website hosting – fast, reliable hosting on demand. We also make sure you’ve got the know-how to get the most of of your new website. Tropixel provides ongoing support, and have a dedicated local team available by phone, email or live chat. Thank you for my fantastic website! I am absolutely over the moon with it! You guys have done done a wonderful job & has been fantastic to deal with, not that I'd have expected less from you rockstars. Just want to thank Flo and all the staff at Tropixel for designing my website. It looks great and the feedback has been even better. You guys rock! Binga. During the past 4 years Tropixel have re-designed & developed and assisted in the maintenance of our website. During this time Tropixel have always been available to listen to our needs and explore alternative solutions to ensure the best outcome for our Organisation. With so many journalists and photographers posting content to our Echo daily news site, we wanted something clean that was easy for readers, and our staff, to use. Flo and the Tropixel team stood out from other developers with honest, clear communication – and consistent ongoing support. Easy to deal with! TROPiXELs knowledge and advice to create exactly what I had planned out in my head, came as second nature and it wasn’t long until they had everything looking & working exactly how I had wanted To know that all our internet requirements are all managed through TROPiXEL makes me rest easy and let's me get on with business. We couldn’t have asked for a more professional team to deal with, thanks Tropixel! Your technical know-how and prompt responses made our job easier, and we love the modern aesthetic of our new website. 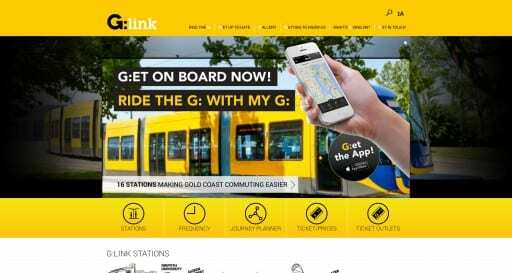 The G:link website was built utilising the WordPress platform, and along with the App represents a strikingly clean, stylish and user-friendly public face for the G:link service. Both the website and app incorporates external data feeds to deliver GPS, Service Alerts, Ticket Outlets and live tram arrival times. The App even includes the ability for patrons to see Live Tram Tracking to access real-time information on how far away the next tram is. The project was delivered on time within a six month timeframe, including a month set aside to allow for approvals at a State Government level. 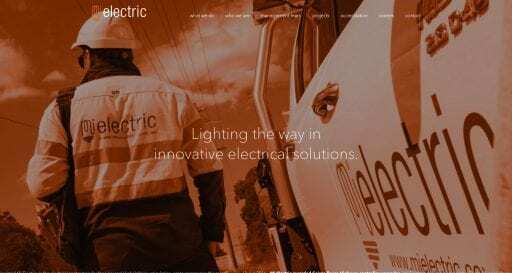 Mi Electric focuses on delivering traffic infrastructure and electrical reticulation projects throughout Queensland. TROPiXEL was engaged to re-design the existing website in a way that would help better engage wiht new and existing clients. Simplicity and a minimalist approach were chosen to convey the brands messages. For Hammo Surfboards, surfing is still (and always will be) about a love of the ocean. For TROPiXEL, designing website is still (and always will be) about conveying our clients stories within an easy to use and beautiful website. The group of companies consists of SEE Civil Pty Ltd, Quarry Solutions, RockBlock and Greenview Developments. With over 25 years of experience in civil construction, material processing and quarry operations, they have built on their strengths to become a very successful Australian owned company. 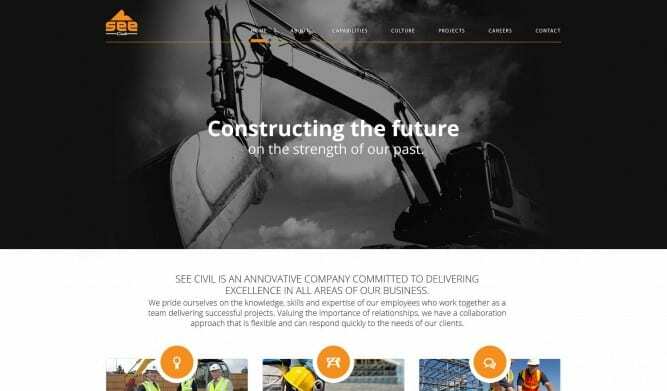 SEE Civil commissioned TROPiXEL to design and develop a website which incorporated their existing brand and was easily managed by their in-house team.